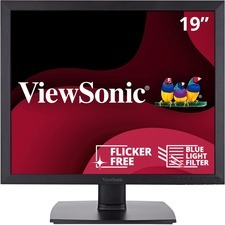 Viewsonic VA951S 19" LED LCD Monitor - 5:4 - 5 ms - 1280 x 1024 - 16.7 Million Colors - 250 Nit - 20,000,000:1 - SXGA - DVI - VGA - 20 W - Black - TCO Certified Displays 6.0 The ViewSonic VA951S is a viewer-friendly, high-performance 19'' LED display with 5:4 aspect ratio that is perfect for legacy or customised applications in corporate, government, educational and other vertical markets. Featuring crystal-clear 1280 x 1024 resolution, SuperClear® technology and 20M:1 DCR, the display presents sharp, true and consistent color performance at 178°/178°-wide viewing angles. DVI and VGA inputs offer easy connectivity to desktops or laptops, and the VA951S's ViewMode delivers optimised color rendering for different viewing scenarios. Flicker-Free and Blue Light Filter eye-care technologies create a worker-friendly environment that reduces eye strain during daily, long-duration use. The VA951S is Energy Star certified and the embedded ECO mode allows to save up to 50% power consumption. Additionally, the VA951S is featured with a VESA-compliant mount to obtain a more flexible installation within your organisation. 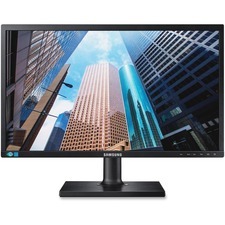 Flat-screen LED monitor provides a user-friendly desktop monitor solution for your business. Eco features reduce power consumption when the monitor is in use for the environmentally conscious business. The LED-backlit LCD screen delivers sharp, bright and beautiful images. Mega infinity dynamic contrast ratio helps to ensure subtle detail even in the lights and darks. MagicAngle technology delivers quality color even when viewed off-angle. The sleek, stylish design and low-profile stand take up less desk space and contribute to a cleaner-looking office. The built-in cable management feature adds to a clutter-free work environment. Monitor swivels, tilts, pivots and is height-adjustable to provide the perfect angle in any lighting condition. VGA, DVI and DisplayPort provide flexibility in high-speed connectivity. 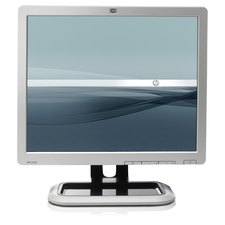 Flat-screen LED monitor provides a user-friendly desktop monitor solution for your business. Eco features reduce power consumption when the monitor is in use for the environmentally conscious business. The LED-backlit LCD screen delivers sharp, bright and beautiful images. Mega infinity dynamic contrast ratio helps to ensure subtle detail even in the lights and darks. MagicAngle technology delivers quality color even when viewed off-angle. The sleek, stylish design and low-profile stand take up less desk space and contribute to a cleaner-looking office. The built-in cable management feature adds to a clutter-free work environment. 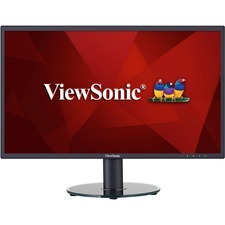 The ViewSonic VA2446m-LED is a 24" (23.6" viewable) widescreen monitor with a LED backlight and a glossy, thin-bezel design ideal for use in the home or at the office. With Full HD 1920x1080 resolution and a 10M:1 MEGA Dynamic Contrast Ratio, the VA2446m-LED delivers stunning brightness and contrast, while a quick 5ms response time ensures crisp pictures and smooth playback. As a complete multimedia package, the display also includes a pair of integrated speakers. VGA and DVI inputs provide flexible and convenient connectivity, while a VESA-mountable design offers additional mount flexibility. With an efficient LED backlight and energy-saving Eco-mode, the VA2446m-LED is an environmentally friendly display choice. In addition, a 3-year limited warranty, along with one of the industry's best pixel performance policies provides great value for the stylish, high-performance VA2446m-LED display. 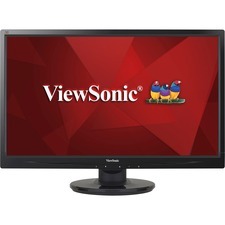 Viewsonic VA2419-SMH 24" LED LCD Monitor - 16:9 - 14 ms - 1920 x 1080 - 16.7 Million Colors - 250 Nit - 50,000,000:1 - Full HD - Speakers - HDMI - VGA - 39 W - Black - EPEAT Silver, ENERGY STAR 7.0 With flexible connectivity, wide-angle viewing, and amazing screen performance, the ViewSonic® VA2419-smh is a 24" monitor that delivers solid multimedia features at a great value. With a SuperClear ADS panel and slim bezel design, this monitor provides a near-seamless viewing experience ideal for multi-monitor setups. Whether for working at the office, or enjoying entertainment at home, the VA2419-smh also features an HDMI port for flexible connectivity to PCs, laptops, and other multimedia devices. In addition, a 3-year limited warranty, along with one of the industry's best pixel performance policies, makes the VA2419-smh a great overall value choice. The image contained herein is simulated to reflect an image under different resolution (or scheme) for demonstration purposes only, and may not be the actual image displayed from the product. Enjoy accurate and vivid colors with consistent levels of brightness no matter the vantage point! With SuperClear ADS panel technology, this monitor delivers the same image quality from above, below, the front, or the sides. The slim bezel delivers an increased screen surface area that lets you see more without taking up valuable desktop real estate. In addition, the slim bezel enables easy configuration of multi-screen setups with a sleek, fashionable look that stands out in any setting. 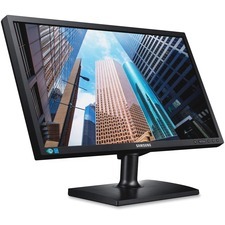 Detailed Design Lightweight, stylish and slim, our LCD Monitors promise sharp, detailed images, smooth motion quality, and Samsung s exclusive Touch of Color"' design. These stylish, powerful and efficient monitors improve the atmosphere of any desktop. The ViewSonic VG2239Smh is a 22'' (21.5'' viewable) Full HD LED multimedia monitor with future-proof connectivity and full ergonomic functionality ideal for corporate, government and education. 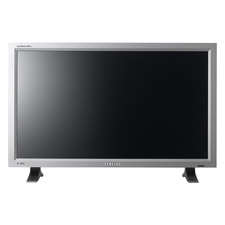 With SuperClear MVA panel technology for wide-angle viewing, and 20M:1 dynamic contrast ratio, this monitor delivers incredibly sharp images and video playback. Integrated with HDMI, DisplayPort, VGA and 2 USB ports, the VG2239Smh allows flexible connection to PC systems, laptops and other multimedia peripheral devices. ViewSonic's exclusive ViewMode provides intuitive presets to deliver optimized screen performance in different applications. In addition, Flicker-Free and Blue Light Filter technology help to eliminate eye strain from extended viewing periods. The LED backlight design makes this display ENERGY STAR and EPEAT gold certified.